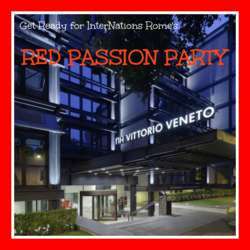 Following hot on the heels of our fabulous B & W Party, we are very excited to invite you to an incredible new one at the NH Vittorio Veneto Hotel for an evening of Red Passion! We will be throwing the doors open to welcome you at 20.00. Arrive early and enjoy socializing with the other members at the beginning of the evening before DJ Frank Master takes over and the party really kicks off! There will be a cloakroom which we ask you to use so that seating at the event is open to everyone. As always, our members enjoy reduced entrance rates. The formula this time will be free entry for Albatross Members, €8 entry for Basic Members and €10 for guests. If you want to enjoy a drink and the buffet, the hotel is offering an aperitivo at just €12 per person to all our guests, paid directly at the bar. For the rest of the evening, all our guests will enjoy discounts on drinks. 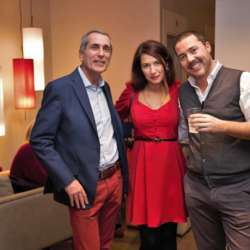 The 5 best dressed members will win a drink offered by the Ambassador Team. 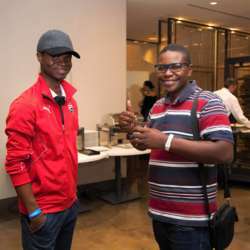 All members are welcome to bring guests and you can invite your friends to sign up for InterNations membership (at least 48hrs before the event) so they can enjoy discounted entrance. Any guests who are not members, pay the €10 entrance fee on the door. The hotel is a 15 minute walk from the closest metro station (Barberini). There are also lots of buses that stop close to the hotel (52, 53, 61, 63, 83, 89, 92, 160, 223, 360, 490, 495, 910) from all over the city. InterNations strives to be a community of trust to our members. If you receive unwanted attention or would like to report a suspicious member, please don’t hesitate to click on the ‘More’ button and ‘Report’ on that member’s profile. We want to make your experience the best it can be!